Take the mystery out of studio lighting in this introduction to portrait lighting. Art Holeman, local professional photographer, leads this hands-on workshop series designed to introduce participants to setting up and shooting with various forms of artificial lighting equipment, basic concepts for camera settings with each type of lighting, and discussions on the advantages and drawbacks of their use. Many additional points will be covered, including the use of shadow and light to enhance composition, mixing lighting for special effects, and other professional techniques. This workshop will be taught in the Art Intersection Lighting Studio using model Marguerite (her portraits are above). Students need to bring a DSLR camera to class to test compatibility with the lighting system. After taking this workshop you can rent the studio and lighting equipment for your projects. The first session introduces you to lighting concepts and the equipment. During the two weeks between sessions you will reserve the studio and complete the lighting assignment. Art Intersection staff will be on-hand to assist. The second Saturday session will be for review, questions, and discussion of advanced lighting techniques. 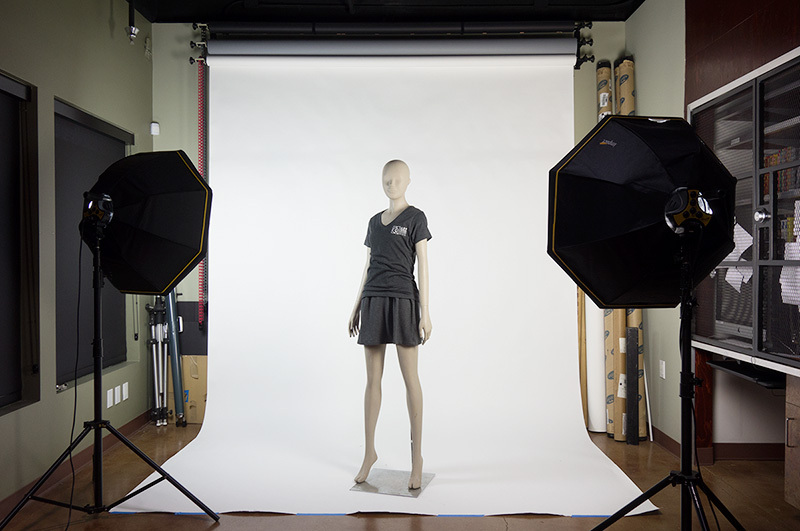 Students will have access to the lighting studio to setup lights and photograph using the five basic types of portrait lighting with Marguerite as the model. After completing the five basic setups, you have an opportunity to experiment with other setups.